Bed bugs, while still rare in the Augusta, Georgia, area, continue to infest couches, beds, homes, and hotel rooms around the country. Many still have questions about these pests, so we’ve answered a few of the most common questions people have about bed bugs and how we treat infestations. Do bed bugs only live in filthy conditions? This is simply untrue. Bed Bugs are slowly becoming a major issue in the United States. They are regularly spread via the luggage compartments and seats of planes, trains & buses. Bed bugs are found in movie theaters, rental cars and office buildings regularly. Even hospitals are having issues with infestations. Why have they suddenly become an issue? “Suddenly” is perhaps the wrong word. They have existed for thousands of years and are even mentioned in writings from the time of Aristotle. Although it is true that they had pretty much vanished in the United States since the 1950s. However, the absence of insecticides like DDT and the reduction of insecticide use, has allowed them to make a comeback. What other factors have increased their presence? Primarily international travel. 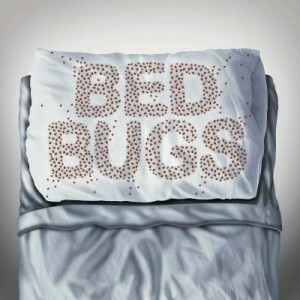 Bed Bugs are very common in other, less affluent countries. So when travelers visit this country, they can bring them with them. If their luggage is infested, they can spread bed bugs in cabs, hotel rooms, buses etc. Subsequently, when Americans visit other countries, they can get in their luggage and bring them home. Another factor is the number of immigrants entering the country. Often times these individuals attain employment as housekeepers and can spread the bed bugs to the home or hotel where they are employed. On a side note, there is a research paper funded by the University of Mississippi that discusses the overwhelming number of bed bugs found in poultry houses. These bugs feed on both the chickens and agricultural workers and they spread as these employees change jobs. In short, bed bugs will continue to grow and become a major problem. In fact, many pest control companies are dedicating themselves solely to bed bug control. At this time, there is no evidence that they spread diseases. Recent evidence has scientists concerned that they may be able to spread Chagas. This disease is currently spread by triatomines, or kissing bugs – a close relative of bed bugs. This can be a debilitating disease. It currently affects millions of people in Mexico, Central and South America. What does a Bed Bug Treatment consist of? The short answer is a lot of time. A very thorough and diligent inspection and treatment is required. Bed bug treatments are a specialized area of expertise within the extermination field. Clothing should be gathered and placed in plastic bags. They will need be laundered or dry cleaned. It is imperative that they be dried at a temperature that exceeds 122 degrees. If taken to a dry cleaner, the store owner should be notified so that they can keep your clothes separate. Other items like VHS tapes, photo albums, etc., may need to be placed in a plastic bag and an insecticidal vapor released in order to ensure eradication. Wooden furniture will have to be emptied and every single crack and crevice will need to be treated with insecticide. Bed bugs like wood as a harborage area. Couches and mattresses are usually able to be saved. These items are treated with a combination approach of insecticide, vacuuming, and dry vapor steam. We include and recommend the use of a bed bug proof mattress and box spring enclosure. A couple of hours per room depending on furnishings. Will there be a follow-up treatment? Usually not, but we do perform a follow-up inspection to ensure eradication. This inspection is usually around two weeks after the treatment and is at no additional charge. We will leave monitoring devices during the interim. Bed bugs are still relatively uncommon in the Central Savannah River Area (CSRA). We only perform a few services a month. If they are so rare, how can I be sure you can kill them? We at Horne’s have addressed this issue head on and consider ourselves to be experts. We regard this as a specialty line of work and as such have a small group of tenured technicians we have dedicated to do these specialty treatments. The technicians we assign to bed bug control have attained hours and hours of classroom training as well as real world experience. Generally speaking we send in a two, three or four man team. The team leader will have well over a decade of experience and multiple schools and each team member will have over 5 years of experience and also attended multiple schools.